Welcome to the new-look Ultimate Shining Force 2 Guide! Shining Force 2 is a classic tactical RPG released by Sega for the Genesis/Mega Drive console in the mid 90’s and developed by Sonic Co, who went on to become Camelot Software Planning. It is part of a long line of ‘Shining series’ games, many of which have sadly never seen a release in the West. Shining Force 2 takes place after the events of the third Game Gear title, Shining Force: Final Conflict, and introduced a more free-roaming style of play compared with earlier ‘Shining’ games. This less linear style of gameplay was probably the root cause of most player’s questions and confusions, which this guide aims to answer. 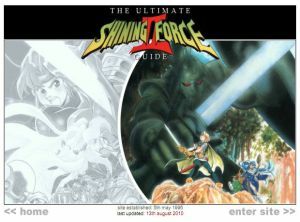 Established in May of 1996, The Ultimate Shining Force 2 Guide has been providing Shining Force 2 fans with all the information they could need to sail through the game, for more than 20 years! The same great Shining content, with a shiny new look! It’s been almost 7 years since I last updated this guide, and with a renewed interest in the Shining series now the Sega Forever project has been announced (it looks like Shining Force and Shinung Force 2 will be part of the projdct), I thought it would be helpful to update the site with a clean, modern look and a mobile-friendly design. We’ve still got everything a Shining Force 2 fan could need to know and searching the site is now easier than ever. There’s even a handy site map too. 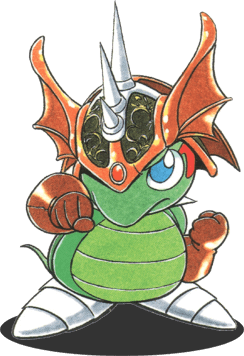 If you can’t find what you need to know here then it’s unlikely to be found elsewhere… but you could always try Shining Force Central’s section on Shining Force 2.